The new Auris hatchback, pictured, and a wagon variant, will arrive in showrooms next year. LONDON -- Toyota will sell a station wagon variant of its latest Auris compact car in a bid to regain ground lost to rivals such as Hyundai and Kia. The Auris wagon will be the only compact wagon offered in Europe with a gasoline-electric hybrid powertrain. Toyota said it expects a third of Auris sales to be hybrid versions, another third to be gasoline variants and a third to be diesels. The company said that wagons now make up 25 percent of compact car sales in Europe. Toyota stopped selling a compact wagon when it replaced the Corolla in Europe with the Auris in 2006. Auris sales have since struggled against competitors in the mainstream compact market, most of which offer wagon alternatives. "Offering a broad range of options for the next-generation Auris would give it a fair stab at the market compared to the relative lack of success the first generation had," said Ian Fletcher, senior analyst at IHS Automotive. Compact wagons are popular with fleet buyers. Kia expects its new Cee'd compact wagon to outsell the five-door hatchback among business buyers in the UK. IHS Automotive predicts the compact wagon market will remain stable, averaging about 700,000 units a year in Europe up to 2016. Auris sales have fallen from a high of 134,206 in 2008 to 87,598 last year in Europe, according to IHS Automotive. The consultancy predicts that adding a wagon will boost Auris sales to 115,000 in 2013, but that they will fall back under 100,000 by 2015. 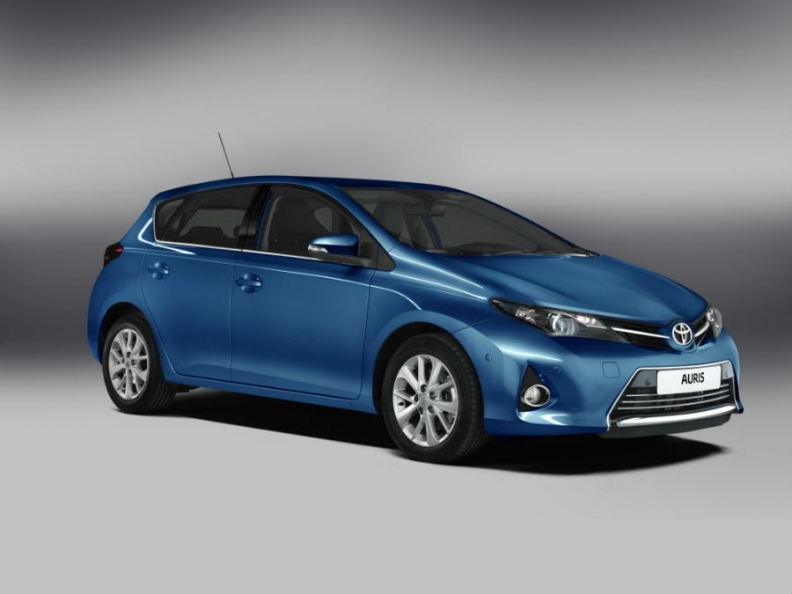 In the first seven months, Toyota sold 48,007 units of the Auris, according to market researchers JATO Dynamics. The Auris wagon will be unveiled alongside the new hatchback at the Paris auto show later this month. The hatchback will arrive in showrooms early next year with the wagon launching in the second half, Toyota said. In Paris, Toyota will also show a revamped version of its Verso minivan, which seats up seven and competes with vehicles such as the Ford C-Max.